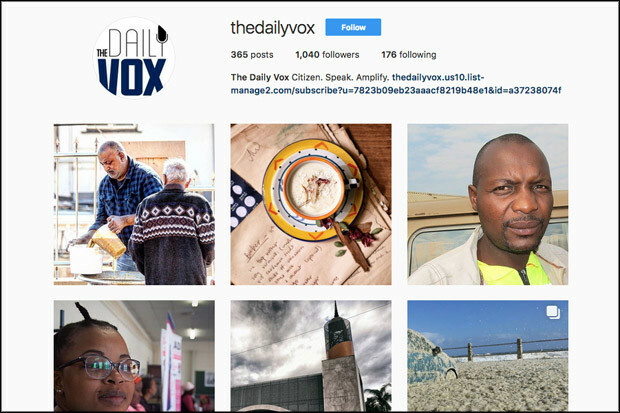 South African publisher The Daily Vox has been using Instagram this month to tell the story of Ramadan through images, aiming to share personal accounts of Muslims throughout the country as they fast. "We wanted to demonstrate the diversity of people's experiences through Ramadan – the experiences and rituals of Muslims in South Africa are very different to people's perceptions," said Benazir Cassim, acting managing editor, The Daily Vox. "The project takes our audience on a photographic journey. Generally, people are understanding about what it is, but there is a lot of information about Ramadan that doesn't generally get into the public eye." Last year, The Daily Vox ran a Ramadan diary, but journalists wanted to experiment with Instagram to reach their millennial audience on the social platform. "Instagram is growing in use in South Africa, and is a platform we haven't really taken advantage of up until now to tell stories, so it's something we are looking into a lot more," said Cassim. "We recognise it as a way to tell stories differently – it's about telling a story with one picture and a small, succinct caption, and we wanted to see what we could do with it." The news organisation approached 14Hundred, a novelty gifting store keen on Instagram which caters to the Muslim market. The company has taken over the publisher's account posting one image a day, showcasing an activity that illustrates someone's Ramadan experience. Nabila Bana, co-founder, 14Hundred, who is running the channel, explained that the project gives her a creative license to explore a variety of personal stories and accounts surrounding Ramadan around the country. "It is about sharing people's experiences – Instagram is a platform where we can introduce these concepts to an audience that are not necessarily familiar with Ramadan," she said. "Our decisions are based on what we encounter, and what we think the audience will enjoy." Instagram Stories have also been used weekly, to enable the publisher to highlight people's experiences in more detail, and have proven to be popular. "Pictures are effective, but having someone's voice telling a story is so significant and really speaks to what The Daily Vox is about – our motto is 'Citizen. Speak. Amplify'", Cassim said. "To be able to incorporate those voices is a great way not to limit the project to just pictures and words on a screen. By hearing the different accents and nationalities you get a sense of the personal experiences and the emotions people are feeling." Audience reaction to the project has been positive, with many audience members going on to take part in the 14Hundred Aspire project, which matches people together, whether they are Muslim or not, to experience the breaking of the fast each day, a small part of Ramadan. "We've received incredible feedback on this – we've had people from around the country who have a limited experience of Ramadan coming forward and signing up to see what it is about," said Bana. "It's gone beyond the photo project to people wanting to personally experience Ramadan, which is fantastic."